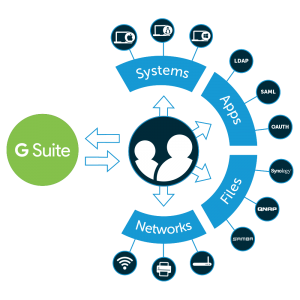 G Suite has become a major cloud service for a large number of organizations. What started as Google Apps is now called G Suite, and it’s the cloud productivity platform of choice for over five million businesses. G Suite is the replacement for Microsoft Exchange, Office, and Windows file server. When discussing Google Identity Services for G Suite, the question becomes whether or not the cloud identity management solution is a replacement for Microsoft Active Directory®. Historically, Active Directory has been the companion solution to Exchange in IT organizations. It has not only been the market share leader in directory services, but also a mainstay. So, when Google Apps first emerged, it was curious that Google wasn’t going to take on the identity management solution. The path, however, made a great deal of sense. The IT landscape was largely Windows and on-prem, so taking on replacing Exchange was a big enough hill to climb. It would not likely have made much sense to tackle replacing Active Directory at that time. Fast-forward to the current IT environment where much has changed. No longer is the IT network all Windows. In fact, only one in five devices is Windows (Forbes). Equally important is the fact that the cloud has invaded IT organizations. As a result, on-prem IT management systems are struggling with the hybrid nature of most IT environments. As G Suite (and Office 365 for that matter), are implemented in more organizations, IT admins are left with a conundrum – how to deal with user management functions. Google’s introduction of Google Identity Services – really G Suite Directory – is a potential approach to solving this problem. 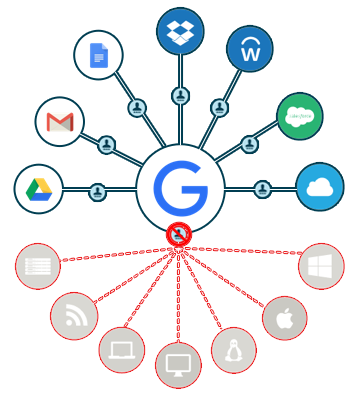 G Suite directory is effectively a user management system for Google Apps as well as a single sign-on solution for a select few web applications. Google Identity Services is not an alternative to the on-prem Microsoft Active Directory. Instead, it is just focused on Google Apps. There are, however, complementary solutions to G Suite and Google Identity Services that integrate seamlessly and provide a direct replacement to Active Directory. Called Directory-as-a-Service®, the cloud identity management solution securely connects users to the IT resources they need, including systems, applications, and networks. In fact, the same G Suite identity can be leveraged for a users’ Mac or Windows laptop, cloud servers hosted at AWS, web applications, on-prem LDAP-based applications, and WiFi authentication, among others. In a sense, Directory-as-a-Service functions as Google’s identity management platform, but is delivered from a third party. 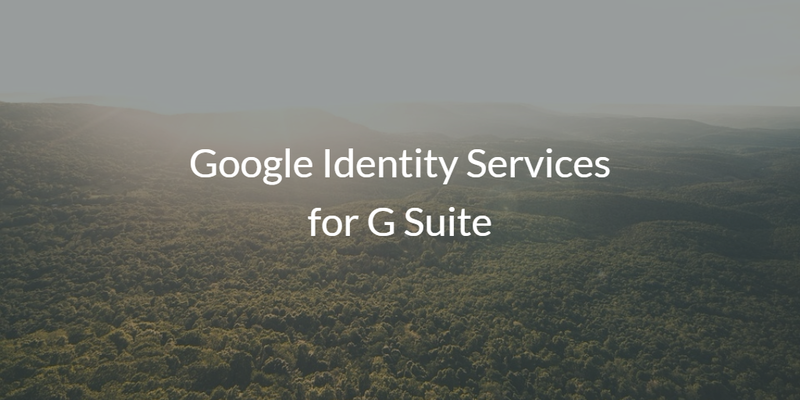 Drop us a note if you would like to learn more about Google Identity Services for G Suite. We’d be happy to walk you through the comparison of G Suite directory and Directory-as-a-Service. Finally, feel free to compare the two yourself by signing up for a free JumpCloud cloud identity management account. Your first 10 users are free forever.